Due to low snow levels in the Eureka area, this course has been relocated to Thompson Pass where there is LOTS of snow. We have also added a bonus portion to the class with a Friday evening classroom session at the Valdez Civic Center. This is an amazing opportunity you won’t want to miss out on! Take your avalanche and backcountry riding skills to the next level. Friday evening classroom session will get your backcountry brain primed and ready. 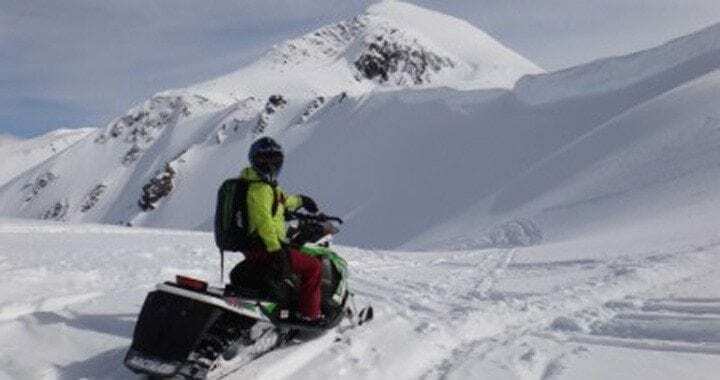 Saturday, join seasoned riders in the field at Thompson Pass to learn avalanche rescue, backcountry trouble-shooting, how to get un-stuck, how to recognize unstable snow, and more. This is an all day on-snow event. Bring your snowmachines, riding gear, helmets, warm clothes, snacks, and water. Participants will be riding in small groups practicing ready-rider know-how. AARP is sponsoring this event: special discount for AARP Members. Enter promo code AARP.